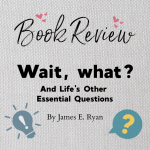 November 2016 – I Do… Now What? Today is Giving Tuesday! After all the shopping on Black Friday and Cyber Monday, it’s about time to set aside a day for giving instead of receiving. Don’t get me wrong, I like shopping as much as the next person. 😉 But today, let’s focus on giving to others! In honor of this day, I am offering a free giveaway. I’ll be giving away one of these Bibles from Amazon to one of my subscribers! Here’s the catch–you have to enter to win. 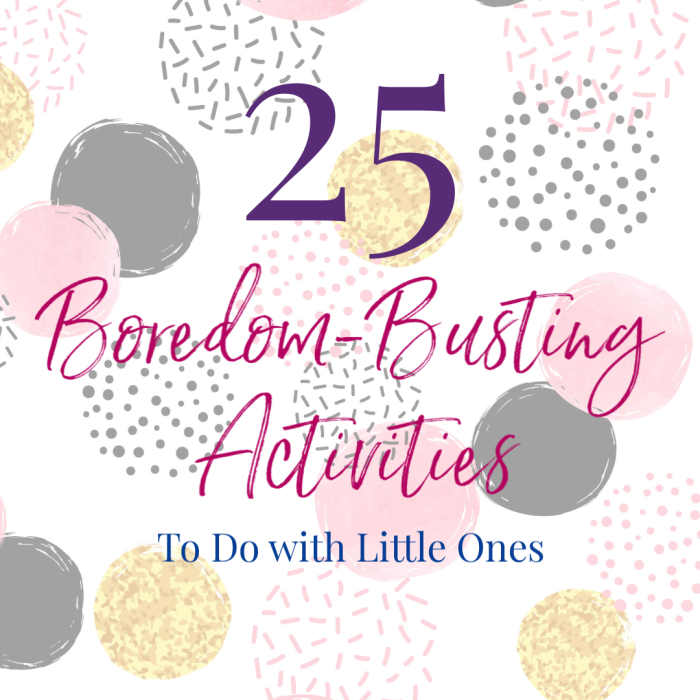 You can enter by subscribing for updates here on my blog. If you are already subscribed, you can enter by sharing my Facebook post about this giveaway. You can find my Facebook page here. After you’ve subscribed or shared, post a comment on this post to let me know. Then I will enter you into the drawing! A winner will be chosen at random next Tuesday, December 6th, at 5:00 PM. I will post the winner’s name on Facebook and Instagram, and then send the free gift–a beautiful new Bible. The winner will be able to choose which of these Bibles they would like to receive. I’d also like to give a shout out to Compassion International for this Giving Tuesday. Compassion is a Christian organization focused on releasing children from poverty in Africa, Asia, Central America, the Caribbean, and South America. They work by connecting sponsors with children, who develop a supportive relationship and correspond via letters. Sponsoring a child costs $38 per month, and provides the child with access to a local church-based program where they can receive education, health services, self-confidence and social skills, and a relationship with Jesus through Bible education and ministry. I have been a sponsor for several years now, and it has been such a special relationship and a way for me to minister to a child in need. If you are interested in sponsoring a child, you can get more information here. Compassion also offers a gift catalog, where you can purchase specific items to donate to families and children in need. In the past, I have enjoyed purchasing things like newborn survival kits, a water pump, and livestock! These gifts can make a huge difference for impoverished families. Check out the gift catalog here. You can give a gift in someone’s name for Christmas! 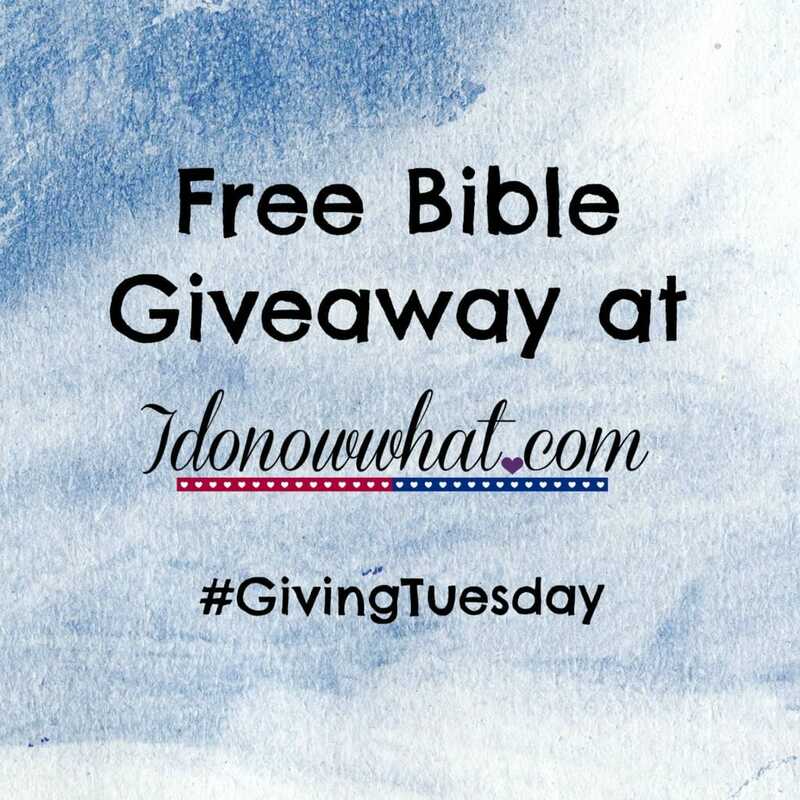 Share: A Giveaway for Giving Tuesday! When Cory and I first moved to our own place together, cooking became a hobby of mine. Growing up, my dad taught me the basics of cooking and gave me a foundation of confidence in the kitchen. Then I became responsible for feeding myself and my husband, and my interest and skills grew. Cooking for just the two of us, I enjoyed making elaborate dishes with tons of fresh ingredients, and trying new things. When we had Cody, cooking went on the back burner (hehe, pun). We had about three months’ worth of dinners in our freezer, which I prepared before Cody’s birth, and that helped a lot. But once that food ran out, we started eating a lot of convenience foods that required minimal cooking, and we ate out often. Our food budget really started to suffer. In the past year, we’ve finally started to find a balance between spending less time and energy, and still eating healthy and economically. One of the key components that makes my system work is my collection of recipes that are easy, quick, and that I know my family enjoys. The other key component is meal planning. 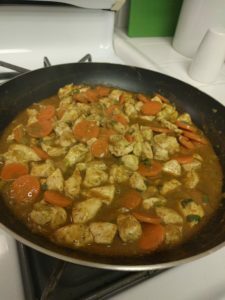 Cooking dinner at home most nights has saved us a lot of money, and allowed us to finally stay within our food budget. It’s also reignited my love for cooking. I’m again enjoying learning to cook new things, and since I abandoned my vegetarian diet during my pregnancy, I have even more choices for cooking than I used to. I also love to experiment and make recipes my own! One of my favorite aspects of cooking is sharing delicious food with others. While I may not be able to send food through the internet, I can share recipes. And as part of my recent blog “re-launch,” I’m going to be sharing a recipe every month! I hope you enjoy cooking some of them for yourself. 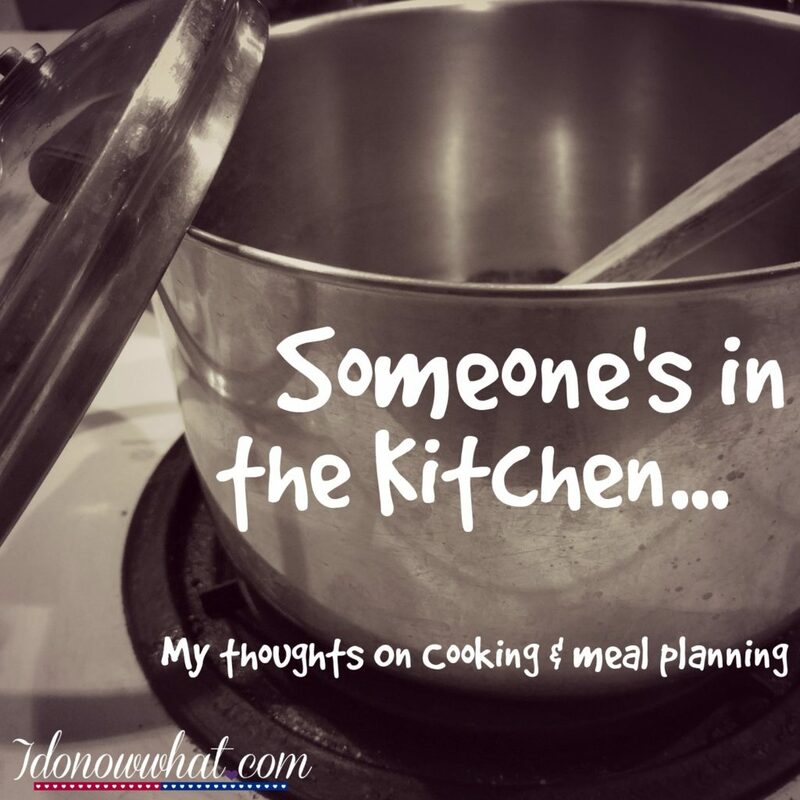 But I want to use the rest of this post to share my thoughts on the importance of meal planning. It helps us stay within our budget for food, saves time and energy, and helps us eat healthier and more balanced diets. I highly recommend it! For us, meal planning only includes dinners. We eat the same few things for breakfast most days, and lunches are either leftovers from dinner, or things like sandwiches or bagels. Snacks are also unplanned, but we keep our kitchen stocked with our favorite healthy munchables. Meal planning is a simple process for me. I plan out our dinners for the week on the same night every week, and make my grocery list at the same time. Some families plan out their meals for longer periods of time such as two weeks or even a month. For us, planning a week at a time works best. My dinner planning session doesn’t usually take long, maybe 15 minutes or so. I start by looking at the calendar and taking note of nights we may need to eat a fast dinner. I write down the evening activities we have planned for each night of the week in my weekly planner, so it’s easy to visualize the entire week. I also write down my dinner list as I’m creating it, in the same planner, off to the side. 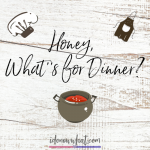 I start making my dinner list by checking out what we have in the fridge and pantry that needs to be used up soon, and plan a few meals using those things. I make a note next to the meals with time-sensitive ingredients, to make them earlier in the week. I also make a note next to meals that are fast and easy, to reserve them for busier nights of the week. Then I look at other food we have that could be used for dinners, including frozen foods, and dry or canned foods in our pantry. Sometimes, we might have several dinners in our freezer because I make big batches of things on weekends that aren’t too busy. Finally, I choose a few meals from my “Dinner Master List,” to complete the week. 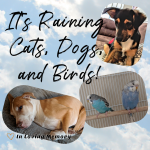 Any meals that include fish or meat are designated for one of our grocery days (we have a big shopping trip on Monday, and a smaller mid-week grocery trip to pick up some favorite items from a specialty store). We also often plan to eat out one night of the week. Between all of these sources for dinner options, we can usually vary our meals quite a bit and we don’t have to repeat dinners more than once a month unless we want to. The biggest tool in this process, other than my weekly planner, is my Dinner Master List. This is a list of all the dinners we like to eat, categorized by type of food, ease of preparing, and time required. It’s definitely one of my favorite organizational tools that I have created! I’m planning to share an editable copy of my dinner master list here on my blog soon, so stay tuned for that. After planning my dinners for the week, I make my grocery list. I look at the recipes and double check every ingredient to make sure I don’t miss anything. I also add our regular breakfast, lunch, and snack foods onto my grocery list. Then when I go shopping, I follow my list! This is important for the money-saving aspect of meal planning. I’ve also chosen my grocery store based on their selection and prices, so that helps with the budget as well! For the rest of the week, it’s as easy as choosing a meal from the list each night to cook. Some nights, we end up needing to change plans and we push a meal or two to the next week. It’s flexible! There are definitely many benefits to meal planning, and I know I’d have a hard time feeding my family if I didn’t plan ahead. Do you like to cook? What do you think about meal planning? Share your thoughts in the comments below! The Bible. God’s Word. Basic Instructions Before Leaving Earth. However you tend to think of it, it is perhaps the most important tool that Christians have when it comes to living out their faith. Believers know that the Bible has value. Many of us treat it with reverence. When we are confronted with a Bible verse that speaks to us, we know that we are communicating with God himself. Through his Word, we receive inspiration, correction, guidance, comfort, help, healing, relationship, and so much more. And yet, so many Christians rarely open the Bible at all. How can this be? And why? I think one major reason is that it can sometimes feel dry, or inapplicable. Reading the Bible can also feel like a chore, just one more thing to add to the endless list of things we need to do better. For some people, it is simply overwhelming to know where to begin. Is it possible that we over-complicate the simple act of reading God’s word? For me, the habit of reading the Bible became just that—a habit—when I learned a few simple things that I’d like to share with you now. Choose a time that is already a part of your day, and use it to read the Bible. I choose to read at breakfast most days, or lunchtime on days when the mornings are busy. Cody goes in his high chair, and I usually put a movie on the tablet for him to watch while we eat. Before I sit down, I grab my Bible. Follow a plan, use a devotional, or make your own plan. Just do something. If you don’t know where to start reading, take advantage of the multitude of Bible reading plans available on popular Bible apps for smart phones. Try as many as you like, for as long as you like. Or, buy a devotional at the book store. 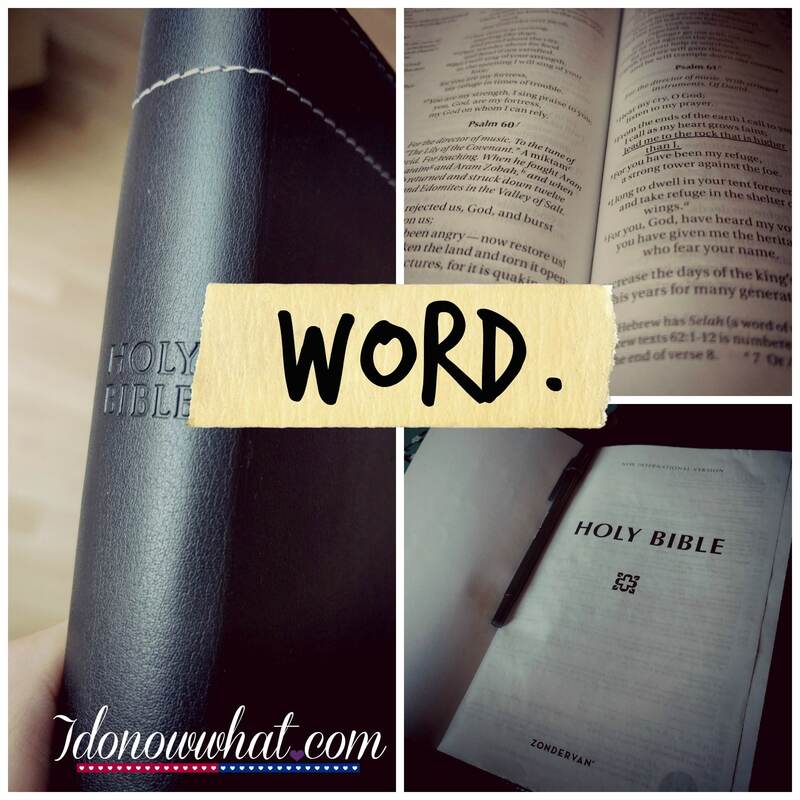 There are so many different ways to get into God’s word. You can even make your own plan. I follow a self-made plan of reading (in order) one chapter in the Old Testament, one chapter in Psalms or Proverbs, and one section in the New Testament. I keep track of where I am on a piece of notebook paper. Sometimes, though, I press pause on my plan so I can follow along with a church devotional email series. As long as I’m reading my Bible, I know it doesn’t matter what system I follow from day to day. Get into it. As I’m reading, I underline and occasionally take notes right in my Bible. I stop to think, evaluate, re-read, ask for clarity, and let it sink in. Sometimes, I write down my favorite verses in a note on my phone, to look up again later or add to my personal concordance. Please note that it will be hard to “get into it” if you’re reading through the Old Testament, and not complimenting that with any other parts of the Bible. The Old Testament has its purposes, but it can be very dry by itself. This is why I recommend more of a blended plan, or a devotional! Don’t get caught up on missed days. Sometimes, you miss a day, even when Bible reading has become a normal part of your life. That’s okay. Just open it back up again. On the other hand, don’t make excuses. I don’t believe anybody is too busy to take five or ten minutes to read the Bible every day. If you are, then it’s time to re-evaluate your priorities as a follower of Christ. Forgetting or having a chaotic day is one thing—not setting any time for God’s word is another. No judgment here, guys, just encouragement. You do have the time! If your Bible reading time is fairly casual, like mine, set aside a different time for more focused quiet time with God. Once I realized that prayer and reading the Bible don’t have to be at the same time, I became much more free and encouraged to do both. And one benefit of breaking your spiritual disciplines down into smaller pieces is that your mind is more focused on God throughout the day, not just for those 15 minutes in the morning. For me, I typically use the beginning of Cody’s nap to have some focused prayer time. When that doesn’t happen, I use those quiet minutes in bed before I fall asleep at night to talk to God. Sometimes I do both. And talking to God throughout the day is a good habit of relationship with him, too. Recognize the value of God’s word. If you don’t have motivation to read the Bible, it may be because you don’t really understand why you should. Simply put, the Bible is one of the main ways God speaks to us. It isn’t often that he speaks through a booming voice from the Heavens, but he speaks to us personally and frequently through the Bible, if we take the time to listen. We can’t have a flourishing relationship with God if we never listen to what he has to say. But if we do take the time to read his Word, we can learn so much about God’s character, his heart, his love for us, his desires for our lives, and his eternal purposes. There is nothing that can replace God’s Word when it comes to having a relationship with God. I hope that you are inspired to read the Bible today, and make it a normal part of your life. If you don’t have a relationship with God, but you’re interested in learning more about that, send me an email and we can chat! How are you doing in terms of reading the Bible regularly? What things have helped you or hindered you? 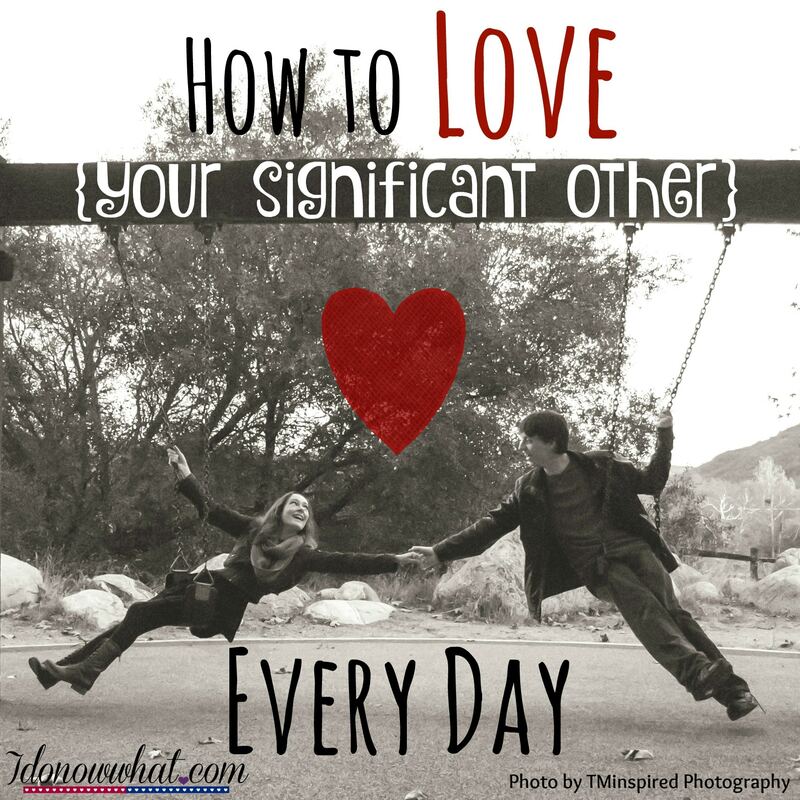 I’d love to hear your thoughts in the comments below! In this post, I’m sharing the 10 most important, and frequently used products in my kitchen. These are all products I own and love, with the exception of two which are currently on my wishlist. Pots and pans are obviously a necessity for cooking. But what you might not think about are the reasons to choose either nonstick, stainless steel, or some other material. When my husband and I got married, we registered for a stainless steel set, which we were blessed to receive as a wedding gift. We thought that it was a good idea because stainless steel is more durable and we expected it to last forever. Well, it very well may last forever, but that doesn’t actually sound appealing since I discovered how difficult it is to cook with! Everything sticks, and you have to cook with a lot of oil and high heat to help reduce the sticking. When we switched to nonstick, I discovered how easy and wonderful it is to be able to cook potatoes and eggs and meat and anything really, all without sticking! Cleanup is super easy, too. This set in particular is really well made, looks nice, and comes with a reasonable price tag. We have the dutch oven that matches this set (but doesn’t come with it), and I plan to buy this set for my family (really myself, haha) for Christmas. When you have nonstick cookware, you want to avoid metal cooking utensils. This set of silicone utensils are my favorite to use. That spatula spoon is the best! And the ladle is so much easier to use than a hard plastic one because you can really “scrape” the bottom of the pot and scoop up whatever you’re ladling. This set is a great price for five utensils, and it comes in red, gray, or teal. The only thing I don’t like about silicone utensils is that they are chunky. The spatula is good for flipping things in the oven or flipping meat, but it’s really too thick to handle pancakes well. That’s why I bought this, and it works perfectly for flipping more fragile foods. We have this set, minus the smaller santoku knife, which didn’t come with our set (purchased elsewhere, before I discovered the joy of Amazon.) These knives are sharp, durable, look nice, and come with a knife block for storage. We hand wash ours rather than tossing them in the dishwasher, and as a result they have held up very well. I don’t see us needing to replace them for many years, if ever. These measuring cups are great because they have little magnets in the handles which keep them together and organized in the drawer. They’re metal, meaning more durable than plastic, and they have the measurement markings etched into the handles. I bought these to replace my plastic measuring cups when the ink smudged away after a couple of years going through the dishwasher. These have held up much better. And of course, if you want your measuring spoons to match your measuring cups, then you should get these too! Did I mention how cool those magnets are? My measuring spoons are always neatly stacked in the drawer, and it takes almost no effort to keep them that way. It makes it easier to find exactly the spoon I need without digging around. I currently have a mismatched set of cutting boards, two of which are on their last legs. I’d really like to replace them with these! While bamboo was appealing to me when I was first starting out building my own kitchen tool set, I have now learned that plastic is preferable. Bamboo doesn’t hold up in the dishwasher very well, and it can’t be sanitized as thoroughly as plastic. On the other hand, a cutting board made of cheap plastic isn’t going to hold up very well either. These ones have great reviews, so I’m hoping they’re durable and well-made. I also highly recommend a set of cutting boards with nonslip feet (like these), because it can be difficult to cut on a board that’s slipping around the counter! I have no idea why it took me so long to buy a rice cooker. 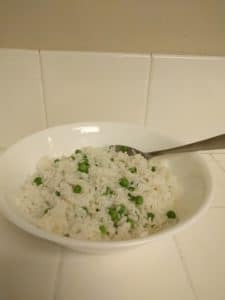 For years I struggled to make the perfect rice in a pot. Why, oh why? Rice cookers are awesome, and this one does its job well and has a great price. I use mine about once a week! If you take a minute to get your rice started earlier in the day, it saves time when you need to cook dinner. This one has a “keep warm” function, so I can make the rice hours ahead of time. It’s also nonstick, which makes it ridiculously easy to clean. If you cook meat, then investing in a food thermometer is a must (and it’s really not much of an investment)! Checking that your meat is cooked to the proper temperature prevents food poisoning, and it’s quick and easy to do. I always check my meat, ever since the Westropp hamburger fiasco of 2014. (What, you haven’t heard of this historical event? How strange.) Seriously though, a food thermometer is a must. It’s also important for making yogurt at home, if that’s something you’re interested in. So there you have it! I’ve given you a glimpse into my kitchen, and the tools I use most. What about you? What are your favorite kitchen essentials? Ah, the dreaded tantrum. We’ve all seen one. Many of us have judged a few parents for their inability to control their toddler’s public fits. Many of us have been those parents, unable to stop the embarrassing displays of unrestrained fury from our youngest family members. It’s as if your toddler having a public meltdown is a glaring sign of failure as a parent. But why? I have learned through my studies in child development and now my actual experience that tantrums are a very normal part of development. Contrary to popular belief, tantrums are not “bad behavior.” Having an emotional meltdown is not misbehavior—it’s part of being human. Are tantrums unpleasant, embarrassing, and unwanted? Why yes. But again—they aren’t misbehavior. The reality is that toddlers have a lot of big emotions that they don’t know how to handle. If we, as adults, can’t always handle our emotions maturely, then it really isn’t reasonable to expect toddlers to do so. 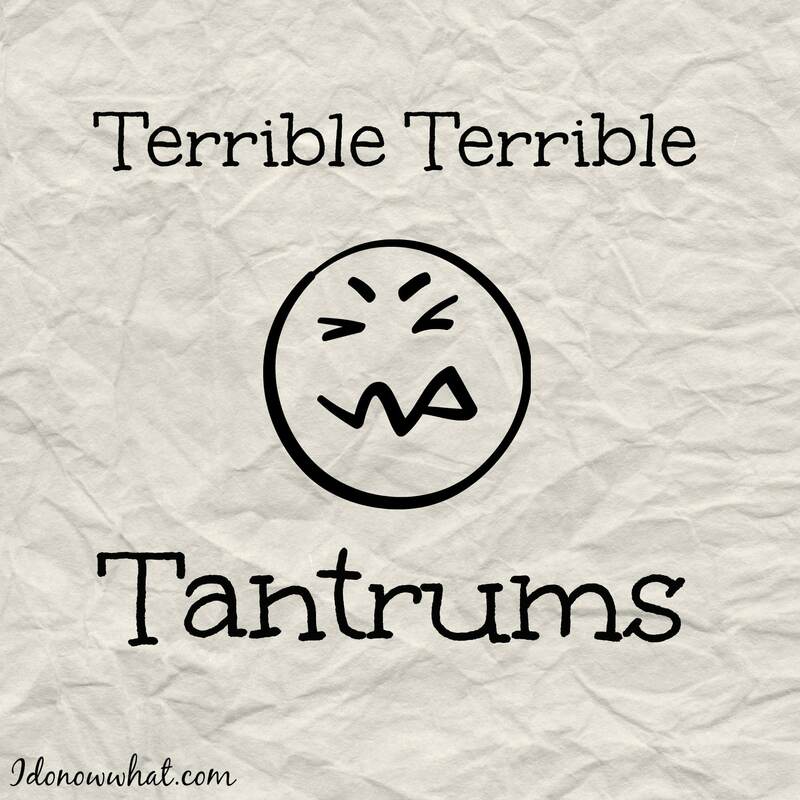 It would be much better for everyone if we all realized that tantrums are normal, and not a reflection of bad parenting. But when a toddler is crying on the floor, kicking and screaming, what should a parent (or caregiver) do? Some people lecture or scold the child. “Get off the floor right now! You stop that, or you’ll have a time-out.” Or, even better, “Stop crying!” Sometimes, these scoldings are even accompanied by spankings, or other punitive measures. I always find myself wondering, why? They aren’t hurting anybody (if they are, they can be restrained with compassion). They’re just expressing their emotions the only way they know how. And when did it become acceptable to respond to another person’s tears and pain by yelling at them to stop crying, or worse, by hitting them? Apparently, only with toddlers. Other parents, desperate to end the drama, concede to the demands of their little tyrant. This isn’t really a good long-range plan either. It teaches kids that they can get what they want by screaming, crying, and making a scene. That’s no good either! What I’ve found to be a respectful, yet effective middle ground is considering the reason behind the tantrum, and responding accordingly without compromising your dignity, or the child’s. When a toddler is throwing a fit because of separation anxiety, I offer comfort. I may gently rub their back, hold them, or offer comforting words. I also respect their right to reject any physical comfort. I offer my presence, and my patience while they express their pain and, hopefully, eventually, calm down. If a toddler is throwing a tantrum over not getting their way, I may offer my empathy, ignore it, or try using distraction. Remember, even adults feel upset when they don’t get their way! If a toddler is throwing a tantrum for an unknown reason (as mine often does), I offer comfort, and if rejected, I ignore it or, again, try using distraction. When I simply don’t have the energy to deal with it calmly, I ignore it. I recognize that there may be reasons I don’t know about for the emotional outburst—teething pain, boredom, frustration, and so on. As such, I try to never react to a tantrum with anger or an attempt to control it. The only time I would step in to exert control would be to prevent a child from injuring himself or others, which can be accomplished with a hug-hold (holding the child around the torso and over the arms from behind). The key, for me, to being peaceful in the face of tantrums is realizing that I cannot control the actions of the child, whether it’s my child or somebody else’s who I’m caring for. I can only control my own actions, and my reactions. I can only guide the child’s choices to the extent they will allow me to, and enforce necessary limits within my power. Stopping a toddler from having a tantrum is not necessary, or always possible. Reacting to it calmly and reasonably is both. Like many other Americans, for me this election has been disillusioning, to say the least. The truth is, I have never before felt so ashamed and disappointed in my country. I am in disbelief about the candidates who we chose to represent us for this election. I am appalled to think that these individuals are the best we have to offer, as leaders for the nation. Worse, I’ve never felt more marginalized in the Christian Church as a whole. There are many believers I know who were unsatisfied with either candidate, and weren’t afraid to say so, for which I am grateful. But what disturbs me so deeply is the large majority of believers who not only accept Trump as a good candidate, but are now actively celebrating his election. How can we, as Christians, celebrate the election of a president who publicly presents himself as a racist, a sexist, and a bigot? I am saddened to know that a vast majority of the Christian Church around the nation supported this man with their votes. What does it tell the world about the church, and Jesus, when this is who we choose as our president? We are Jesus’ representatives, and we have failed in this. Of course, the alternative was arguably not much better. Clinton is certainly not a shining light for Jesus, any more than Trump is. Her platform includes things which as a Christian, I cannot morally agree with. Nevertheless, I did vote for her because, frankly, I believed she was the lesser of two evils. I voted for her because she was the only serious competition to Trump, and at the very least, her message was not one of distrust and divisiveness. I refused to support fear, alienation, and hatred. Anyhow, I am encouraged to know that there are other believers who have also publicly expressed their disappointment in this election process and results, no matter how few they may be. It reminds me that the entire church isn’t happy with what I feel is a tragedy for our nation, not a cause for celebration. As disappointed as I am with what just happened, my hope is still in Jesus alone. It has to be, because any hope I had left for our nation has been demolished. As a follower of Jesus, I have to respect President-Elect Trump and love him as a person. As such, I will continue to pray for him, and strive to forgive him continuously as he inevitably continues to behave in ways that make my blood boil and my heart cry. I can’t say that I’m proud to be an American. In fact, I’m considering whether I want to be one at all anymore. But that’s actually okay, because contrary to popular belief, God is not partial to the United States of America. It’s just a country, a human construction, and a deeply flawed one at that. I am not called to be loyal to my country, but to God’s Kingdom. I am, of course, called to pray for my country, its leaders, and its people. I also have total respect and gratitude for the brave men and women who defend my rights, in the name of our country. But I’m also called to stand and disagree when I see evil things happening here. So that’s what I’m doing now. I don’t like what I’m seeing, and through my mourning I can only pray that somehow, God will use these dark times for the greater good. I know he will, because that’s just the sort of thing he does. Welcome to my new recipe of the month! This is a new idea I’m trying, to share my love of cooking with the world. I hope you enjoy the recipes I post here, which are designed to be reasonably easy, quick, nutritionally balanced, and of course, delicious. If you try a recipe out, please leave comments on the post with your experience. I’d love to know how it worked out for you! This recipe is for a tasty, easy dish that my family enjoys. We aren’t huge fans of Indian food, but we don’t hate it either. 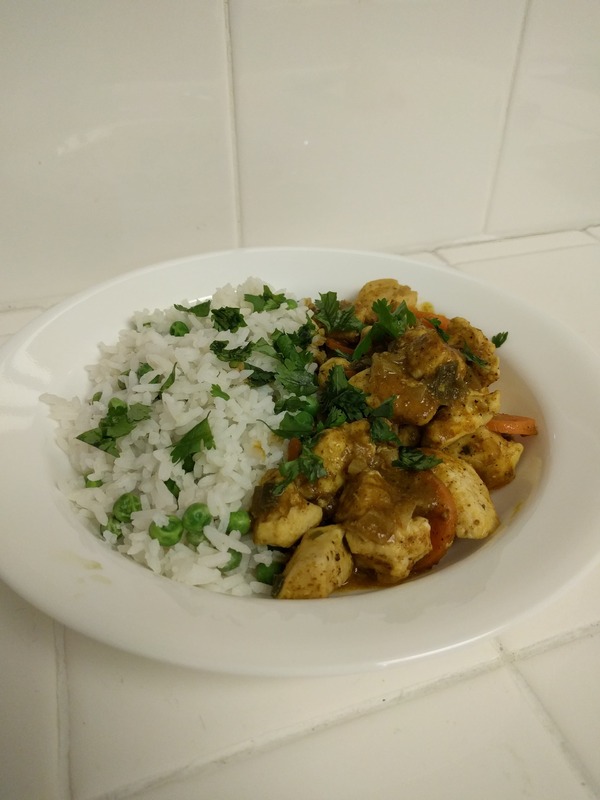 I think this meal would be enjoyed by lovers of Indian food and picky eaters alike, because it’s mild while still being flavorful. I sometimes like to prep for the meals I plan to cook in the week, on the day I go grocery shopping if possible. Getting all of the chopping, marinating, and slow cooking processes (like steaming rice) out of the way all at once makes it super quick and easy to cook dinner every night. The curry paste I use is found in my grocery store in the aisle with Asian foods, which is also where the coconut milk is. Curry paste can be found in varying degrees of spiciness and with different flavors added, too. I use mild, which has plenty of flavor for my family. 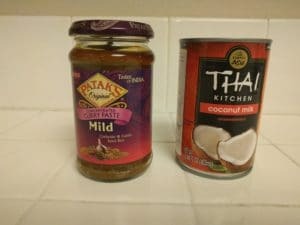 The coconut milk I use for cooking comes in a small can, and is very creamy and delicious. This recipe doesn’t use the whole can, and the leftover can be saved and used for other recipes. I always take the temperature of meats when I’m cooking, because things like color, juices, or even the amount of time cooking aren’t always accurate or consistent ways of knowing when the meat is done. All it took was one case of food poisoning to convince us to adopt this practice! Food thermometers are not expensive, and it only takes a minute to check. You can download a free printable document with safe cooking temperatures for different types of meat here! It also has information on safe food handling practices in general. 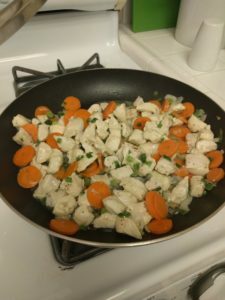 Cut the chicken breast into bite-size pieces. Wash and cut the ends off of the carrot, then slice it into thin slices. Wash and cut the ends from the top and bottom of the spring onion, then cut the green stalks into thin slices, and roughly dice the bulb part. In a large pan, heat about a tablespoon of olive oil. Season the chicken with salt and pepper, then add it to the pan. Dump in the carrots and onion as well. Stir, cover, and cook for 2-3 minutes. Stir again, and cover. Covering the pan helps the food cook faster and the veggies become more tender. Add the curry paste and coconut milk* to the pan and stir it well to combine. Lower the heat, cover, and let it simmer for another few minutes. *Coconut milk separates naturally, so if you’re not using an entire can, be sure to stir it first before measuring or scooping out the amount you’re going to use! Meanwhile, heat the peas, then add the rice, stir, and heat until it’s all nice and warm. Check the temperature of the chicken with a food thermometer, to ensure it has reached at least 165 degrees Fahrenheit. Serve the rice with peas next to the chicken curry, and top with fresh, (washed), torn cilantro leaves, if so desired. 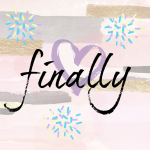 I wanted to let you know that I am moving to a weekly newsletter, instead of sending out emails each time I post. This way, I won’t clog up your inbox with multiple posts per week! I’ll be emailing my newsletter every Friday, starting this week, so keep an eye out for that. Thanks for reading! You guys are the best. Health Insurance, I Reject You. Medi-Share is a health insurance alternative offered by a company called Christian Care Ministry. This is a program for Christians who agree to a set of beliefs consistent with the Bible. It is not health insurance, but it does provide an exclusion for the legal requirement to have health insurance under the Affordable Care Act. In other words, if you become a member of Medi-Share, you won’t have to pay a penalty on your yearly taxes for not having health insurance. I signed up for Medi-Share mainly to save money, after Cody was born. Cory’s employer provides health insurance for him, but to add me and Cody to the plan is rather expensive. After Cody was born, we kept him on the insurance until he finished up his infant vaccinations, and then we switched him over to Medi-Share. 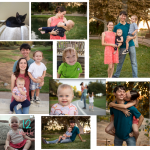 Our monthly “share,” which is similar to an insurance premium, costs about half of what we were paying for insurance, and saves us hundreds of dollars per month. It’s a great deal for us! The drawback to this program is that fewer things are covered. For example, preventative care visits to the doctor are covered for children, but not teens or adults, and vaccinations are not covered at all. Prenatal care and birth are covered, however. For my family, the program provides what we need for a price we appreciate, but for other families this might be a problem. As with health insurance plans, you must meet a deductible, which is called an “Annual Household Proportion,” (AHP) before your bills will be eligible for sharing. And because the program is, again, not insurance, you aren’t legally entitled to anything by being a member. Your eligible bills are “shared” and paid for by other members, whose bills you help pay for with your own monthly share. Realistically, your eligible bills will always be paid, but it is important to realize there is technically no guarantee. 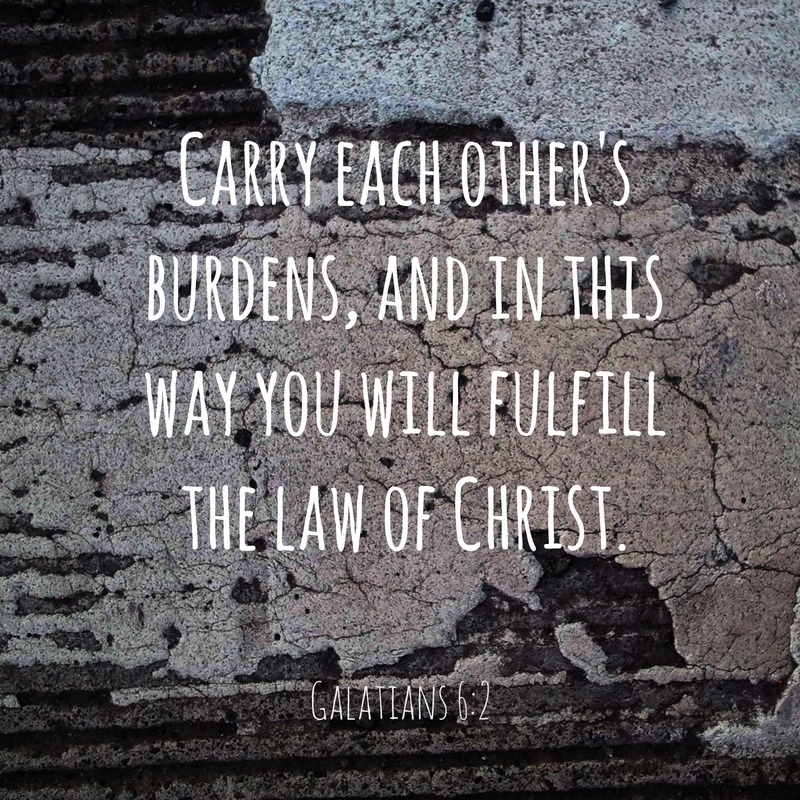 It is a voluntary program of Christians coming together to share each other’s burdens—in the form of medical bills, of course. Medi-Share offers several levels of AHPs, with the higher choices tied to lower monthly shares, similar to an insurance plan. If you pay $130 per month, your AHP might be something like $2,500. If you pay $60 per month, your AHP will be closer to $10,000. That means you have to pay your own eligible medical bills until you’ve paid the AHP, before other members will start paying your bills for you. One of the best things about Medi-Share is that once you have three or more people on your family’s plan, the monthly share stays the same. That means you can pay about $375 per month for your family of three and that number will stay the same when you add another one, two, or more kids to your family. The AHP also applies to the whole family, so it’s not as if each member has to meet it before your bills are shared. One thing to note, however, is that your share increases by a small amount every year as you age. Mine went up by about $10 last year, for example. Lastly, one of the best benefits of Medi-Share is free access to doctors 24/7 via an online system. That means I can “see” a doctor, for free, anytime, from my computer or phone. This service is for most non-emergency medical issues, and the doctors can even send prescriptions to your local pharmacy for you. It’s pretty cool! If you are interested in checking it out, please use my referral link, here, so I can earn rewards. Then you can get a referral link of your own to share with all of your family and friends! The information I have presented here is true to the best of my knowledge. Before signing up, you should read all of the information on https://mychristiancare.org/our-ministry/ and make sure that you understand all of the terms and conditions for yourself. Share: Health Insurance, I Reject You.